Over the last few days I have been hearing too many concerns from people having sleep related issues including lack of sound sleep, waking up too early, waking up at midnight, inability to fall asleep, stressful sleep, nightmares, feeling sleepy and tired throughout the day, irritability, anxiety and so on. Most of the complaints have come from considerably younger audience. Some of these symptoms were attributed to having young children, elders or ill family members in the house to attend to, whereas the rest were due to erratic or long working hours, stress or too much use of computers and gadgets or social media. All the above symptoms put together can be clubbed under insomnia. Each one of us suffers from insomnia, at some point of time. If not paid attention to can lead to further complications including hypertension, heart issues, depression, migraines, and acidities. Lie down on your bed, take 5 deep breaths. Relax your body completely from toes up to your head. Call upon Archangel Michael to stand by your side, protect you and let you sleep peacefully. Also call your spirit guides and Reiki masters. Now imagine yourself covered with an imaginary blanket. Alternatively you can just cover yourself under your own blanket. Now call upon Archangel Raphael and ask him to cover you under his emerald green blanket. You can ask him to help you fall deep asleep and heal you while you sleep. You can ask him to help you deal with all anxieties, which keep you away from a good night’s sleep. You can also ask Archangel Azrael to help you release any stress keeping you away from a good night’s sleep. Chances are by now you may have fallen asleep, if not here is what you can do. By now you are definitely in the deepest of slumber. Try these points for 21 days and cure insomnia completely. You can use the exact same technique on your clients, children, spouse or family too. In short for anyone who is battling with insomnia. This works with superb results. I hope that this sincerely helps you fall asleep. Stay blessed and wishing you sound sleep, peace of mind and a healthy body and mind. After doing her MBA in finance and working for 8 years in investment banking Ashwini discovered her life purpose and decided to make a choice to be a transformational trainer, life coach, motivational speaker, and a spiritual teacher. She says Reiki helped her find her soul mission. In 2016 May Ashwini founded Unicorn Insight – a corporate training company. Unicorn Insight trained over 100 people in the first 15 months. Ashwini also founded and runs a recruiting and networking firm – Tree of life. Ashwini has co-founded Urja Wellness and Joy for wellness and all these brands are now part of the Unicorn Group. Ashwini is a master teacher of Usui Reiki, Violet Flame healing, Angelic healing and is an Access bars facilitator. She has been certified as a trainer by Dale Carnegie. Ashwini is also a mind trainer, an angel card, and tarot reader as well as a teacher and conducts workshops on Reiki, Violet flame, Law of Attraction, Gratitude, Vision Boards and Angels, Unicorns, Dragons, Akashic records and is a certified Fairiologist. She is a regular speaker at HELP talks Mumbai. The Breakthrough workshop is a life-changing workshop where she teaches tools to empower and change your life. thank you so very much for all your articles. stories.and your amazing downloads which are so handy. reminders are very important. thank you again. Nice article..keep it up..God Bless.. I do have Reiki II and have insomia for more than 40 years. I will start with the blanket tonight and will keep you posted. I sincerely hope and pray this helps you..may the angelic blessings be with you ! Thank you so much.I am having sleep problems. I am starting this tonight. 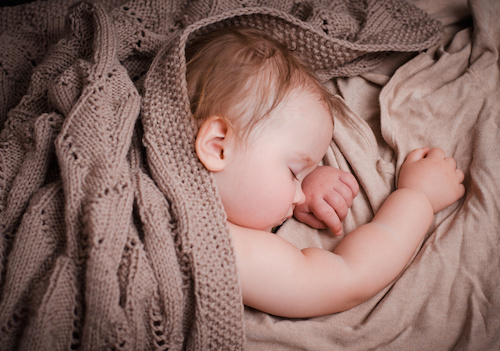 Do you think Reiki could be placed on/in a physical blanket for say a small child having trouble sleeping? Or would pratcioner have to be present? Much like infusing a crystal with energy? I can’t be there when she goes to bed at night and she’s little so I thought a blanket might work.? Maybe litterly draw symbols on blanket? Ideas? Suggestions? Sometimes sleep problems are caused by geopathic Stress. Back in the early 90’s we had a lady visit our group. She had the best night sleep after that one session. It may also be worth trying a few drops of bach rescue and some white chestnut empowered with the symbols.